hechizada Tabatha Vintage Doll. 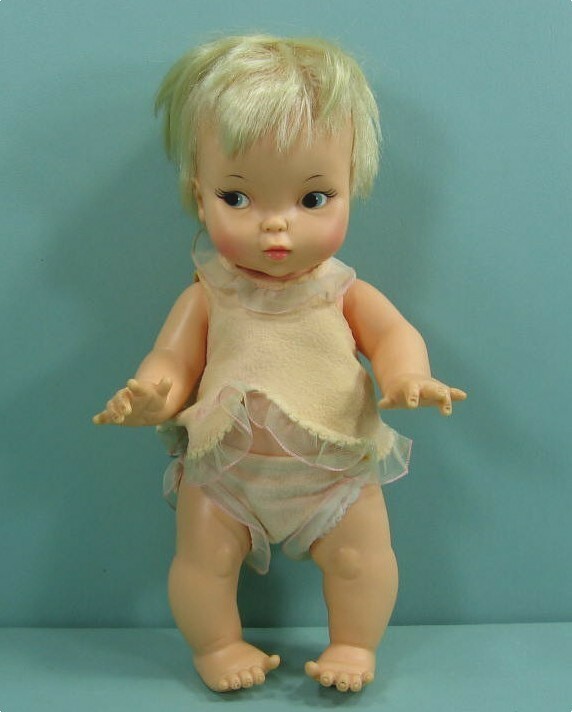 1966 vintage hechizada Tabatha doll brought out por Ideal. Today if bought in mint condition in box can fetch up to $6,000.. Wallpaper and background images in the hechizada club tagged: bewitched tabatha vintage doll collectibles dolls 1960s tv series photo. WOW ! Gorgeous or what,i could look after Tabatha as well Cammie ! Of course, you can babysit both Tabatha and her mommy if ever the need arises. Mind you,Berns, I said "babysit", NOT "keep" ! SHUCKS ! i thought you may fall soft and give her to me as a gift lol !!!! Look, Berns, we compromise ok? I'kk let you have both Tabatha and Samantha for the Christmas holidays if you in turn let me have Cary Grant's festive balls.